To sign up for a training workshop, click here! 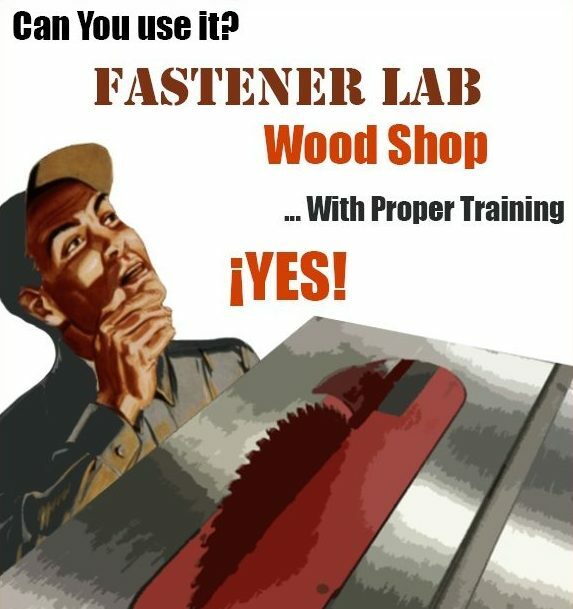 Wood shop training will cover how to use basic wood working tools as well as the safety rules and regulations within the FASTEneR Lab. The training will cover use of the miter saw, table saw, drill press, band saw, and sanding tools. The training will last 1 -1 ½ hours based on the amount of people in each training session. Please come prepared or you will not be able to take the training. 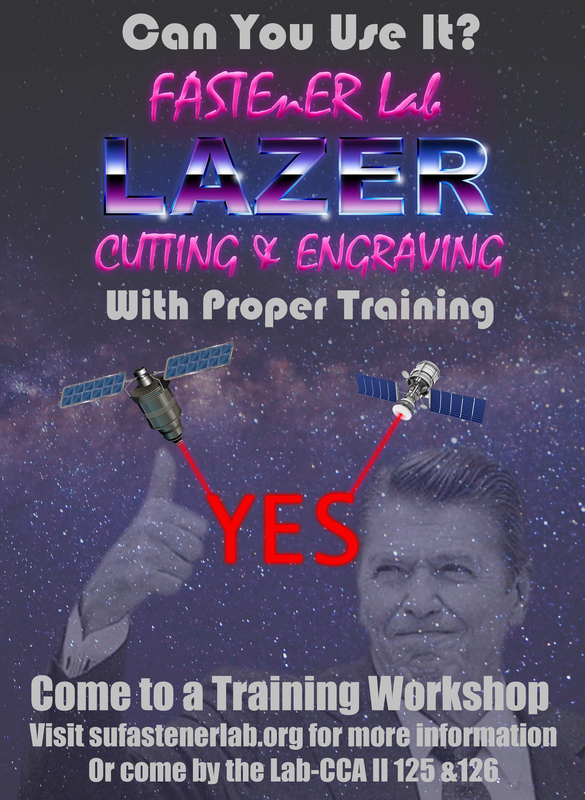 Laser cutting/engraving training will cover the basic process to cut and engrave different materials using an Epilog Helix laser cutter/engraver. This tool allows you to cut or engrave objects from Adobe Illustrator, Rhino, and Corel Draw files. 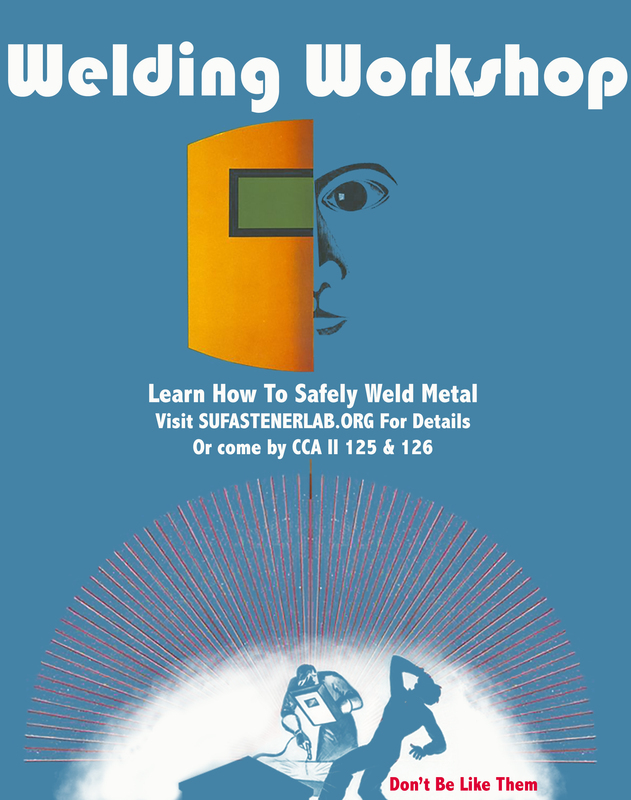 The welding workshop will cover the safety rules and regulations within the FASTEneR Lab, how to use some metal tools and the basics of MIG welding.